Welcome back to our blog page here at Buzz Brite Commercial Cleaning Solutions! We pride ourselves on being Kelowna’s best solution to the need for commercial floors that shine, carpets that look immaculate, and tile and grout that looks brand new. We’re always thankful to read feedback and testimonials from our customers here in Kelowna and the surrounding areas. With so many positive reviews and a never-ending trail of happy customers, we’re thankful to be the area’s go-to professionals for all things commercial flooring. Need carpet cleaning services, floor waxing, or tile and grout cleaning in Kelowna? Reach out to our flooring professionals at Buzz Brite Commercial Cleaning Solutions today! No matter what kind of business you’re in, you always want your office, retail store, or other commercial building to shine. When things get dusty or grimy, it can present a run-down look to your employees and customers alike. When it comes to your commercial carpet, there’s not much difference. Carpets that are caked with one or more layers of dirt or grime are bad enough, but eventually, the lack of commercial carpet cleaning starts to make its presence known in other ways. Carpet can start to give off an odor when it hasn’t been cleaned recently. It can also trap dust and other allergens so that customers and employees start to have negative reactions to the dirty carpet. In today’s blog, we’re going to take a look at some of the biggest reasons to invest in commercial cleaning services here in Kelowna. Stay tuned to learn why it’s so valuable to have your commercial carpets cleaned. As a Kelowna business owner, you understand the value of giving off the right message. If you work out of a business that encounters customers’ foot traffic, you’ve probably painstakingly chosen the color schemes, wall decor, and furniture. Everything in your office or store sends a message and you want it to be the right one. When your carpets are dingy, dirty, and smelly, you’re definitely giving off a message by continuing to have such grimy flooring in your business. The message that you’re sending to customers could be anything from laziness to unprofessionalism. If you want customers to think of your business as a classy organization that takes care of its clientele, make sure that you invest in professional carpet cleaning. Anyone who has ever researched the hazards that old or dirty carpeting can pose understands why it can be unhealthy for people to be around carpets that are excessively dirty. Dirty carpets carry a number of different toxins in them that could be problematic for people to be around. They not only house layers of dust, they contain the bacteria and germs that are tracked in on people’s shoes. In addition to these things, any food particles that have been dropped into the carpet have either attracted bugs or have rotted creating more and more toxins and allergens there. When people are continually around carpet that is chock full of these agents, they can start to deal with more severe allergies, respiratory issues, asthma, and more. Whether it’s for the sake of your employees, your customers, or both, make sure that you get your Kelowna business’ carpets cleaned as soon as you possibly can. 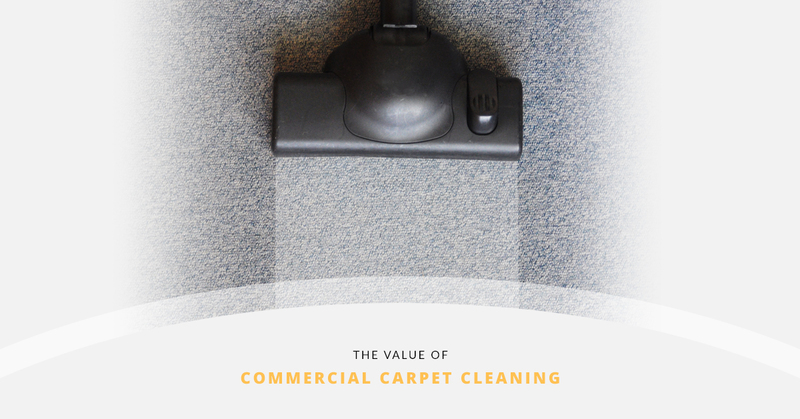 There are all kinds of other reasons to invest in commercial carpet cleaning for your Kelowna business and you might be amazed at how those dingy carpets can come back to life when they’ve been shampooed by a professional carpet cleaning company. If you’re ready to get your commercial carpets cleaned, reach out to us at Buzz Brite Commercial Cleaning Services today! We’d love to help you get your Kelowna business in order!